With an increasing volume of manufacturing and production returning to the UK, we are designing and printing more and more packaging and point of sale material. 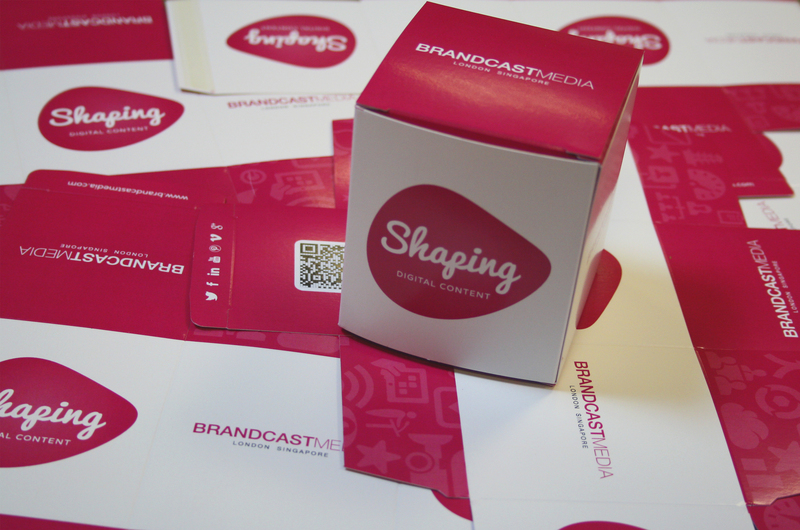 We can print boxes, sleeves, pouches and labels in much smaller quantities than specialist packaging printers offering a cost effective and bespoke method of getting your products to the market. With the Suffolk Pudding Company we cheekily insisted on having cheesecake samples in the office so we could ensure the boxes fitted! 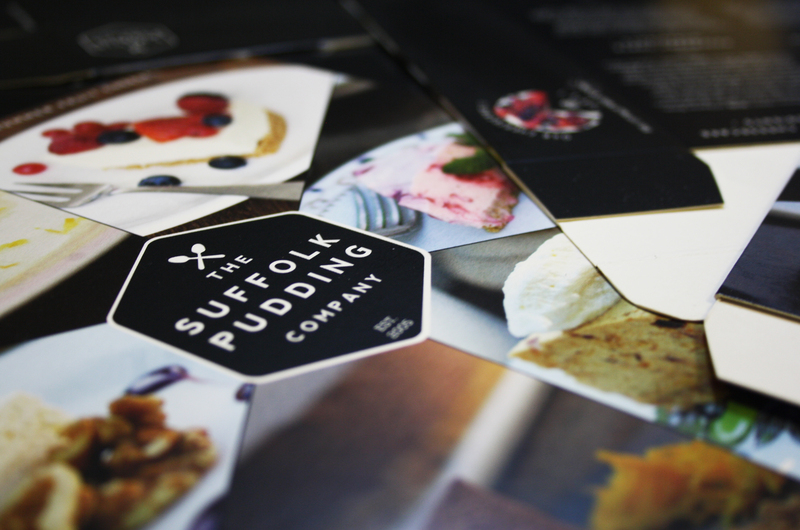 In the past we have printed packaging for a wide range of product including food & drink, here is some packaging printed for The Suffolk Pudding Company. 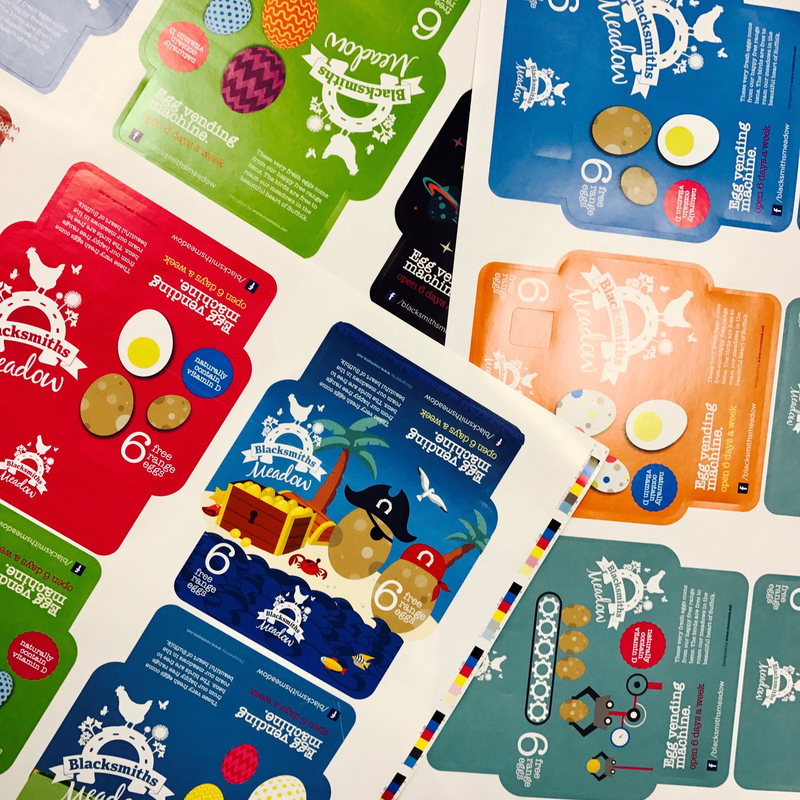 We printed these bright, colourful stickers for Blacksmiths Meadow, for their egg boxes.